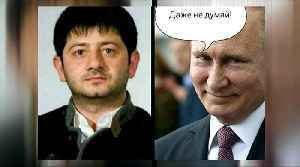 Former comedian Volodymyr Zelenskiy will formally assume Ukraine's presidency next month. 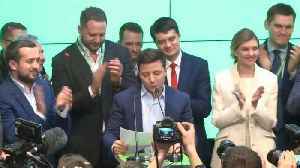 But he doesn't have a single member of his own party in parliament yet, so the reform fever that swept him to..
Zelensky's agenda is no joke and he must find a way fast to impress 'notoriously fickle' Ukrainians, analysts say. 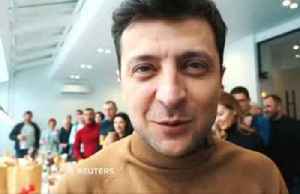 According to Reuters, The European Union scrambled to get a call with Ukraine’s president-elect Volodymyr Zelenskiy on Monday as Western powers wondered whether the TV comic would heed their urgings..
Reuters reports that Ukraine has entered unfamiliar political territory after near-final results show a comedian with no political experience and few detailed policies has been elected president. 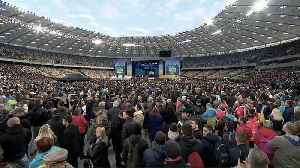 The..
KIEV (Reuters) - Ukraine entered uncharted political waters on Monday after near final results showed a comedian with no political experience and few detailed policies had dramatically up-ended the..
Michael Bociurkiw is a global affairs analyst and a former spokesman for the Organization for Security and Cooperation in Europe. 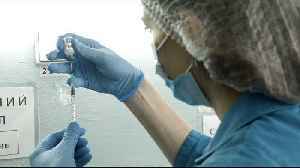 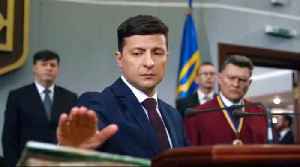 The opinions expressed in this commentary are his; view more opinions..
A Ukraine-based business expert says he's not convinced that even Vlodymyr Zelenskiy knows what his policies as Ukrainian president will be. 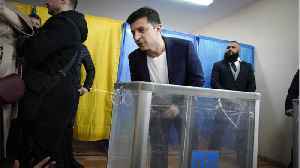 Zelensky, a political novice, swept to an overwhelming..
Ukraine entered uncharted political waters on Sunday after an exit poll showed Volodymyr Zelenskiy, a comedian with no political experience and few detailed policies had easily won enough votes to..
(CNN)Political newcomer and television comedian Volodymyr Zelensky was on course Sunday to win Ukraine's presidential elections, beating incumbent and chocolate magnate Petro Poroshenko, exit polls.. 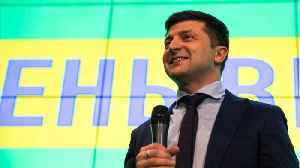 The apparent landslide victory of Volodymyr Zelenskiy, 41, is a bitter blow for incumbent Petro Poroshenko who tried to rally Ukrainians around the flag by casting himself as a bulwark against Russian..
Ukraine's outgoing leader and president-elect separately issued statements on Wednesday denouncing Russia as an occupying force in eastern Ukraine, after Moscow moved to simplify the procedure for..
President Vladimir Putin said on Wednesday it was unacceptable that residents of Ukraine's Donetsk and Luhansk regions had no rights, but he said Moscow did not want to create problems for the new..
Russian President Vladimir Putin has signed an order simplifying the procedure for obtaining a Russian passport for residents of the rebel-controlled Donetsk and Luhansk regions of Ukraine, the Kremlin..
Ukraine has entered uncharted political waters by choosing Volodymyr Zelenskiy, a comedian with no previous political experience and few detailed policies, as its new president. 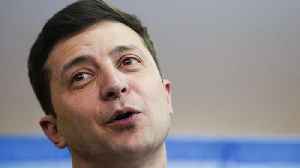 Prime Minister Theresa May told Ukraine's President-elect Volodymyr Zelenskiy in a congratulatory call on Tuesday that Britain would continue to support his country's sovereignty and territorial..
Chancellor Angela Merkel spoke by telephone on Tuesday with Ukraine's newly elected president, Volodymyr Zelenskiy, and invited him to Germany, a German government spokeswoman said. 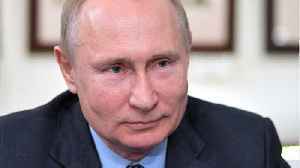 The European Union is steadfast in its support for Ukraine, European Council president Donald Tusk said in a tweet on Tuesday after a telephone conversation with Ukraine's president-elect, Volodymyr.. 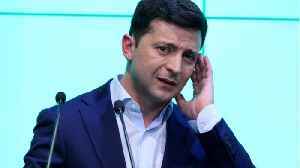 The European Union scrambled to get a call with Ukraine's president-elect Volodymyr Zelenskiy on Monday as Western powers wondered whether the TV comic would heed their urgings to stick with reforms..
Ukraine entered uncharted political waters on Monday after near final results showed a comedian with no political experience and few detailed policies had dramatically upended the status quo and won.. 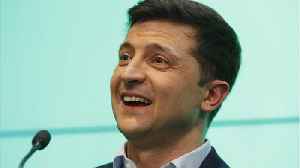 When comedian Volodymyr Zelenskiy strode onto stage on Sunday to claim victory in Ukraine's presidential election, he was accompanied by several teammates who could become familiar faces in Ukrainian..
Ukraine entered uncharted political waters on Monday after near final results showed a comedian with no political experience and few detailed policies had dramatically up-ended the status quo and won.. 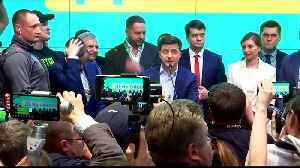 The Central Election Commission says Monday that Zelenskiy has won 73% of the vote while the incumbent President Petro Poroshenko got just 24%. 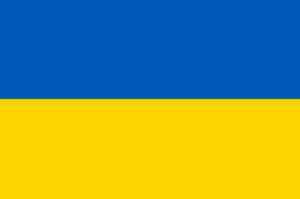 Sri Lanka, Ukraine, ‘Game of Thrones’: Here’s what you need to know. 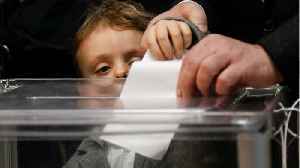 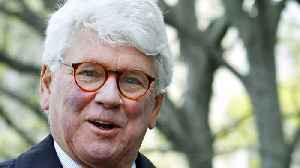 Ukraine entered uncharted political waters on Sunday after exit polls showed a comedian with no political experience and few detailed policies had easily won enough votes to become the next president.. 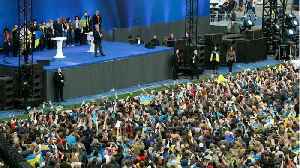 Incumbent Ukrainian President Petro Poroshenko on Sunday conceded he had been soundly defeated in a run-off vote by comedian Volodymyr Zelenskiy and would be leaving office next month, but said he did..